Indiana Review and Indiana University Press are proud to present the Don Belton Fiction Reading Period, an exciting extension to our Blue Light Books partnership. Between May 1 and May 31, we will read fiction manuscripts of up to 80,000 words. The winning manuscript will be published by IU Press in trade paperback format as part of the Blue Light Books Series, and will be selected by a panel of judges consisting of representatives from IU Press and Indiana Review editors. The winner will receive $1,000 against future royalties and a standard publication contract with IU Press. As with our general submissions, we seek literary fiction that has an intelligent sense of language, assumes a degree of risk, and has consequence beyond the world of its narrators. We are drawn to vivid, fresh characters and plots we haven't seen before. be works of fiction: novels, novellas, or story collections. be under 80,000 words, not including the table of contents or an acknowledgements page. consist of a single .doc, .docx, or .pdf file. be double-spaced with standard margins. contain no interior art or translations. contain no identifying information. A brief author bio / cover letter may be included in the "comments" section on our submissions manager. Further, IR and IUP cannot consider work from anyone currently or recently affiliated with Indiana University. This includes those who have studied or taught at IU in the past four years. Reading fee: $25, which includes a year-long subscription to Indiana Review. All submissions must be made online through our submissions manager. Deadline: May 31, 11:59 p.m. EST. Don Belton is the author of the novel Almost Midnight (Morrow, 1986) and the editor of the anthology Speak My Name: Black Men on Masculinity and the American Dream (Beacon, 1996). His short stories have appeared in the African American Literature Forum, Indiana Review, and Breaking Ice: An Anthology of Contemporary African American Short Fiction (Penguin/Viking). He has written for Newsweek, the Philadelphia Inquirer, Advocate, Utne Reader, and the Corporation for Public Broadcasting. He has lectured in the Ivory Coast (sponsored by ARTS America/United States Information Agency), at the Sorbonne, and the University of Sao Paulo, Brazil. He has taught literature and fiction writing at the University of Michigan, Ann Arbor, Bennington College, the University of Pennsylvania, and Indiana University. His awards include a Lila Wallace International Travel and Research Grant, a Bellagio/Rockefeller Foundation Fellowship, a MacDowell Artists Colony Fellowship, and a Dance Advance/Pew Charitable Trust Grant for Dramaturgy. Don’s death in 2009 was a great loss to his friends, family, and students, and also to literature. The Don Belton Fiction Reading Period honors his memory and his legacy as a fiction writer. 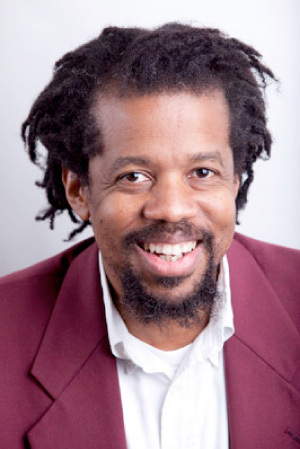 We invite you to listen to Ross Gay read his poem, "Spoon," over on the IR Bluecast. "Spoon" is dedicated to Don Belton, and appears in Catalogue of Unabashed Gratitude (University of Pittsburgh Press, 2015). Thank you for trusting us with your submission. We look forward to reading your work!